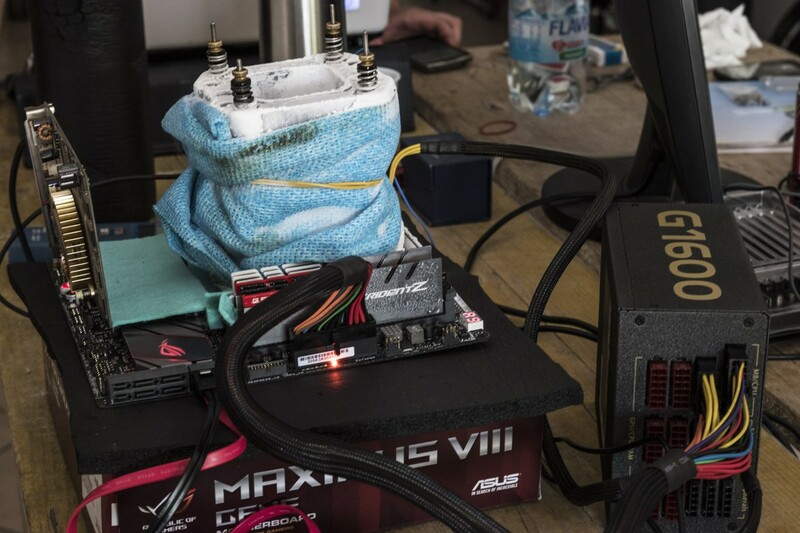 During the last weekend three overclockers from our MIFCOM Ocaholic overclocking team came together to squeeze every last ounce of overclocking performance from a small Intel Core i3-6320 CPU. During the long and hard day, Naruto80, supported by Rule and Pixy managed to get some interesting results. 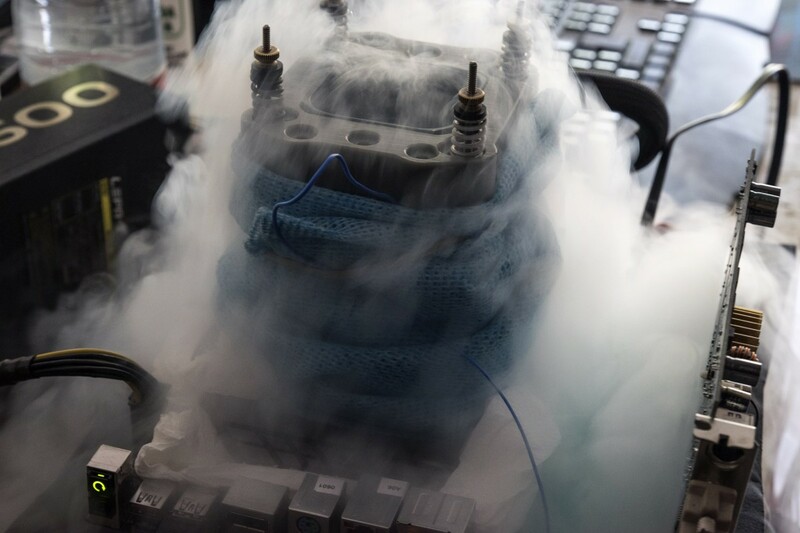 HWBOT has launched a new event, the Team Cup 2016, which requires numerous tests with different CPU generations including the Intel Core i3-6320. The Stage 1 requires a SuperPi 1M test with a Haswell or a Skylake CPU. Naruto80 managed to get the first place in his category with its own processor hitting 5s 640ms result. Of course, in order to achieve this, the CPU has been pushed to 6,415 MHz with a vCore of 2V on an ASUS Maximus VIII Gene motherboard. 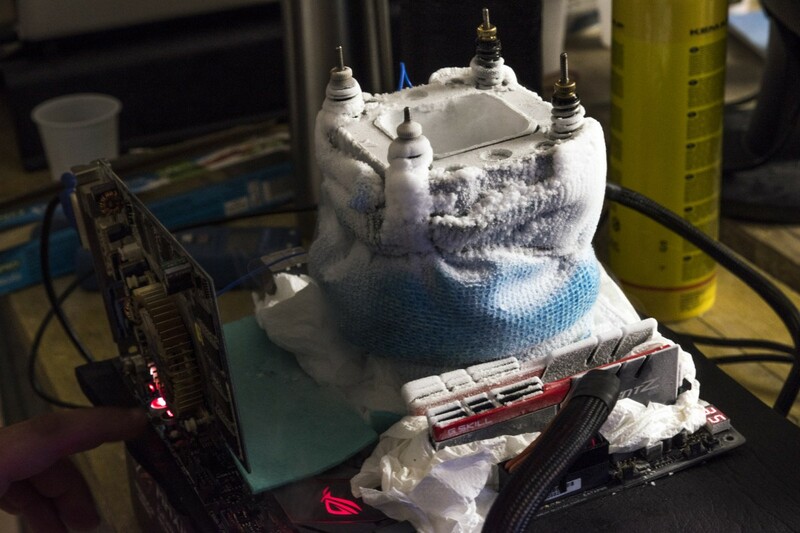 Below you can find both scores and a couple of pictures taken during overclocking.